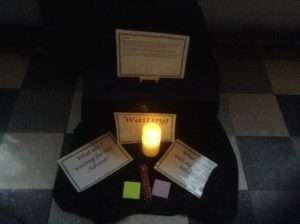 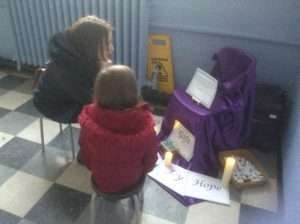 There have been prayer stations in the hall every morning this week . 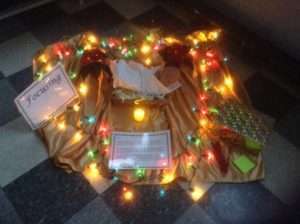 All the children have had the opportunity to go around them and spend some time reflecting on their preparation for Christmas.They thought about the gifts of Hope, Peace,Joy and Love and they prayed for teh gift of patience as they excitedly wait for the birth of Jesus. Thank you to all those parents who were able to join us in the mornings to share the prayer stations – We hope you enjoyed them too and they have enhanced your preparations for Christmas.